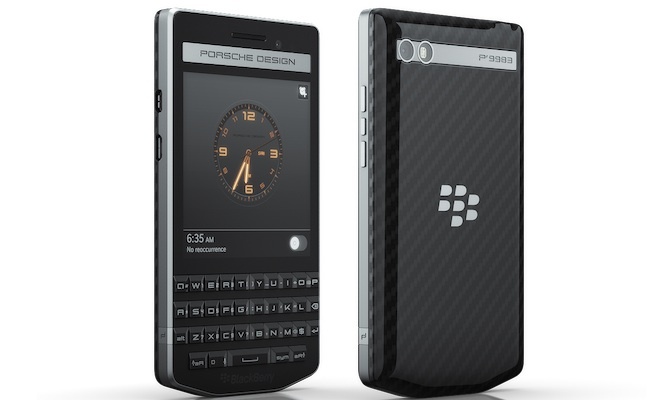 BlackBerry has launched the BlackBerry Porsche Design P’9983 Graphite smartphone in India at a price of Rs 99,990. The phone comes with a exclusive Porsche Design accessories, bundled in the box such as a premium stereo headset, an international charging kit, a polishing cloth and a USB cable for high-speed data transfer etc. The smartphone features a 3.1-inch touch screen with a 720 x 720 pixel resolution and offers a pixel density of 330ppi. The phone is powered by a 1.5 GHz dual-core Qualcomm Snapdragon S4 processor paired with 2GB RAM. The BlackBerry Porsche Design smartphone comes with an internal storage of 16GB which can be further expanded up to 128GB via microSD card. The smartphone sport an 8MP rear camera and a 2MP front facing camera. Talking about connectivity option’s, the device features Wi-Fi 802.11 a/b/g/n, Bluetooth 4.0, LTE, FM radio, Micro-USB, and Micro-HDMI. Running BlackBerry 10, it is packed by a 2100 mAh battery. “With the launch of the new P’9983 Graphite from BlackBerry, we bring a unique stylish smartphone combined with the superior productivity and ultimate security experience of BlackBerry 10 technology for our Indian consumers. This new smartphone is custom-built for power professionals aiming to make a style statement while not willing to compromise on effective communication and collaboration.” Hitesh Shah, Director of Sales and Distribution, at BlackBerry India said at the launch. Share your views about the new Porsche Design P’9983 from BlackBerry in the comments below.